I’m fighting the blahs with every trick I know: taking lots of vitamin D, eating fresh fruit, going for walks in the sun with the dogs (whenever I can find sunlight) and not expecting too much from myself. That last one is hardest because I’m always go-go-going. But I have nothing MAJOR that needs doing right now, I’m in between designs and it’s not the right time of year for any of our outstanding home or garden project. The only looming deadline is getting the new firewood stacked before the snow starts tomorrow night. So I’m spinning, and knitting, and reminding myself that February is like this. But it’s a short month, and come March I can start planning my garden. 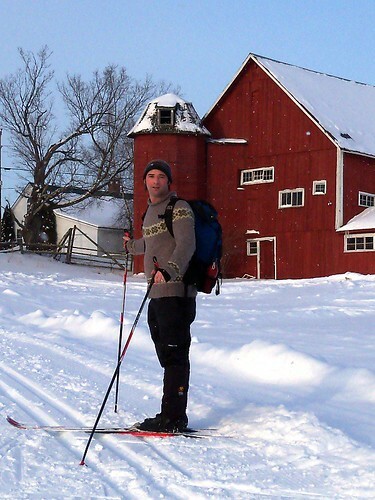 What do you do in the cold winter months to perk yourself up? 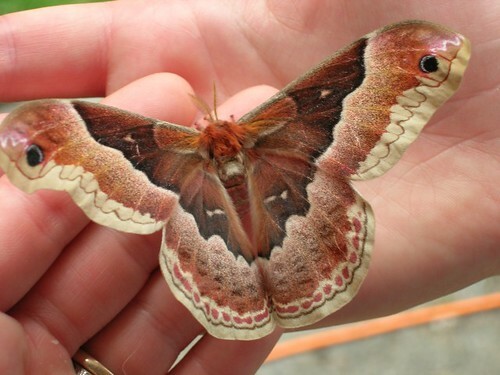 My worlds are colliding in a most unusual way, devastating and uplifting all at once. Possibly you’ve heard about the fire at Pete’s Greens. I have friends who’ve worked for Pete. I know people who’ve bought CSA shares. I know people who aren’t getting the rest of their winter share because it was destroyed in the fire. The fire destroyed everything, Neil and I drove past the farm after skiing that weekend and nothing remains where the barn used to be. The local food community here is pulling together, making donations and holding an auction. Pete’s Greens is one of the biggest CSAs in our area and they are a leader of the local food movement here in VT where we take our local food and working landscape seriously. At the same time the knitting community has taken an interest! 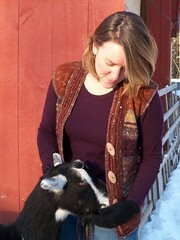 Juniper Moon Farm is holding a fundraiser for the fiber community. 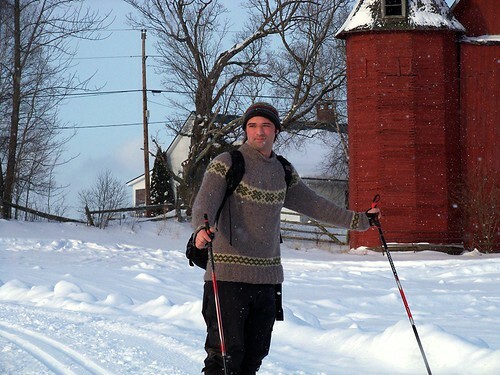 Knitters and fiber enthusiasts who’ve never met Pete, driven past the farm, or had an amazing deep dish pizza made with veggies from the CSA are donating money and prizes to help. Knitters show the world, again and again, that we care. And when we join together we can make things happen. All I can think is that THIS is what people mean when they say local food will save communities. It builds bridges and brings people together when elsewhere in the US communities are drifting apart. I doubt this sort of community support happens when a barn burns down on a giant commodities farm in the mid-west. I’m not saying it shouldn’t happen, but that (I’m guessing) it doesn’t. CSAs, farmer’s markets, farm-to-plate initiatives – the whole local and sustainable movement makes us realize that food doesn’t come in packages but from farmers. When we support our farmers we not only get better food, but we support ourselves through our local communities. You see the same thing in knitting communities. We have fiber CSAs, sock yarn clubs, pattern collections – all coming from fiber farms, small companies, and indie dyers and designers which allow knitters and spinners to support real people while enjoying our shared hobbies. I’m proud to be a member of both communities. 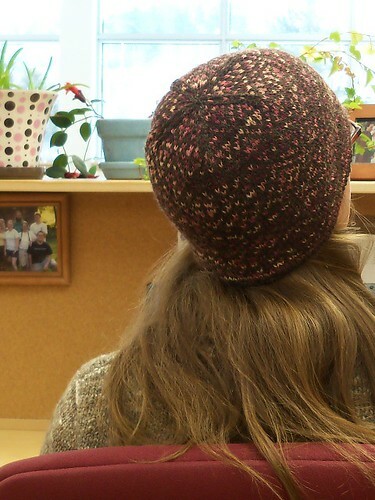 I’ve finished my pink and brown Winter Sunrise hat! The two yarns are a variegated pink and a brown, both from a Coopworth farm local to me and not really available online. The variegated yarn may not be the best thing to show off the colorwork, but I think it’s pretty anyway – and it certainly is warm! There were a few hiccups along the way. 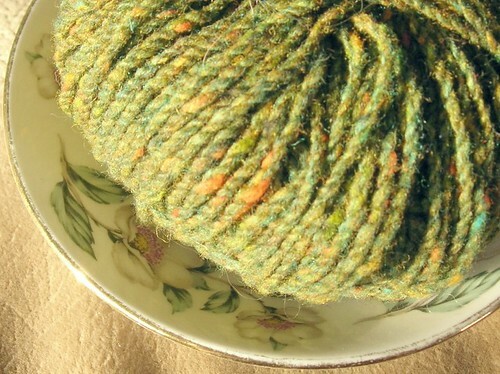 I started out with US 5 needles and sport weight yarn as directed – but didn’t check my gauge. Can you see where this is going? 1)	Knit liner, increase at brim, work 2 inches of color work hat. 2)	Try on head, discover hat is at least 25” around. 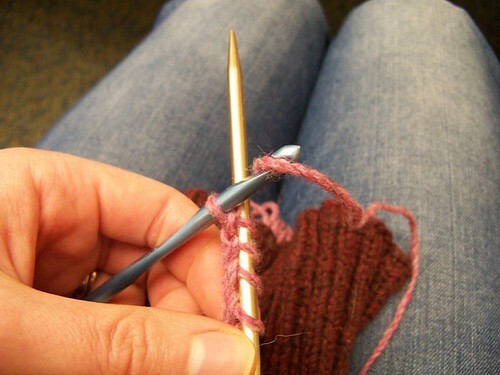 4)	Cast on with US 3 needles. Knit liner, increase at brim, work 1 inch of color work hat. 5)	Try on head, discover hat is about 23” around. 7)	Determine that instead of 4 repeats of 3 diamonds each, I can work 5 repeats of 2 diamonds each. That will use fewer stitches but maintain pretty crown decreases. Also decide to use US 3’s for liner and 4’s for hat. 8)	Cast on 120 sts, work one round. 9)	Realize I need 124 sts, curse at knitting. 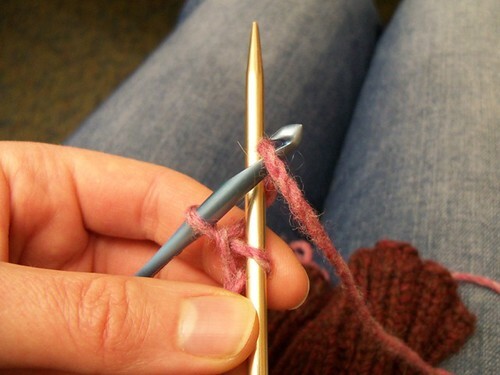 10)	Decide to work just 4 increases in brim, feel smart, continue knitting. 11)	Work three more rounds. 12)	Discover I twisted my work when joining to work in the round. 13)	Curse some more, rip out work. 14)	Cast on 124 sts. 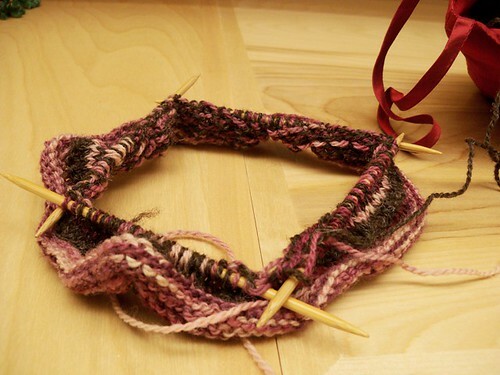 Knit liner, go up a needle size and begin color work. 15)	On 4th round of chart, realize color work isn’t ending at correct point. 16)	Count chart stitches and sts on needle. Realize I actually need 120 sts. 17)	Throw knitting across room. Pick up and rip work. 18)	Cast on 120 sts. Successfully knit liner. Feel clever for starting color work without needing chart because I have it memorized. 19)	Tink back 3 rounds because I DID NOT have chart memorized and I refuse to rip work AGAIN. 20)	Sit undisturbed in living room for an entire day (while car won’t start) and focus on nothing except knitting hat to avoid any more mistakes. 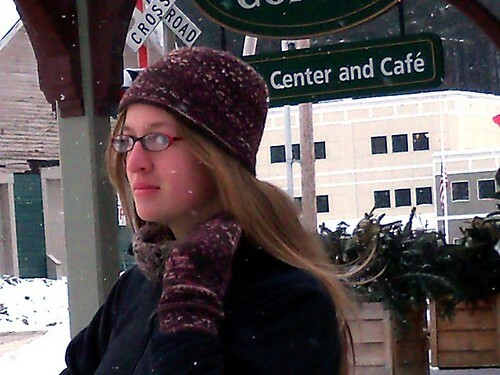 21)	Block, feel really clever because color work hats are awesome – even if they do take some focus. It was one of those days, the kind of day that starts at -25F, and never gets above 0. My poor ’98 diesel jetta never started. I ended the day with a conversation with my mechanic. He recommended a 100 watt light bulb and a solid, strong jump in the morning. It’s supposed to get above 0 by tomorrow morning, so that should help. But in between the -25F morning and the decision to give up I’ve been on the phone with AAA more times than I can count. I was also abandoned by a tow truck driver who was convinced my glow plug array (the thing that heats the engine in diesel vehicles – but works very differently from one auto brand to another) wasn’t working just because it didn’t work the way his ford truck works. In the mean time I’ve knit, worked on my felted boot project, drunk a lot of tea, checked on my chickens regularly, and walked the dogs. The dogs seem to love running through the cold, cold snow, they love it outside far more than I do. The chickens are doing well. 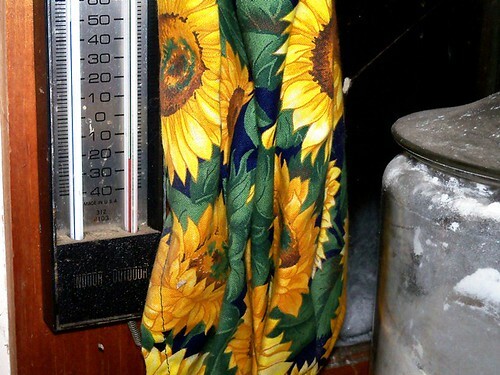 When it gets below -10 we leave the light bulb on in their coop overnight for added heat. Incandescent bulbs are highly ineffective as a source of light because so much of the energy they use is converted to heat instead of light. But on a night like the last one, that’s exactly what I’m using them for. 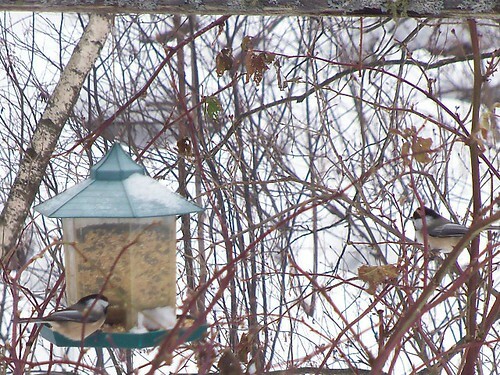 The little birds didn’t come to the feeder first thing this morning, which had me very worried. They arrived around the same time the sun finally peaked over the mountain ridge, and have been flocking to the feeder all day. I hope you’re staying warm and cozy! I’ve finished off several designs recently and, as if I’m waiting for something big*, I haven’t started any new ones. I finished the first sleeve for Gwen. I’ve signed up for Twist Collective’s February Finish Fest(ravelry link) with the goal of actually completing those felted boot covers I started back in November. I’ve started a pink and brown hat which has been in my ravelry queue since September of 2008. Juggling 144 stitches on 5″ DPNs is crazy-making, so as soon as I get home I’ll be switching it to a 24″ circular. I may have to magic loop (I dislike magic loop) but I dislike dropping stitches more. It will soon be this winter sunrise hat, and I’m using the leftover yarn from my pink and brown mittens. Then I’ll have another matchy-matchy set of winter woollies I love matching. I’m hoping for a quiet weekend. I need to clean and knit, and probably make stew. On Saturday I’m visiting Rachel Erin and I’m very excited to meet her in real life. *I suspect the “something big” looming in my mental peripheral vision is that book I keep talking about. White Clovers is a simple yoked sweater designed to appeal to the basic style sense of men. Garter ribbing trims the hem and cuffs. 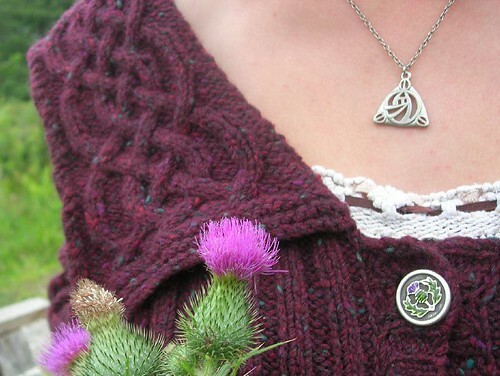 Above the ribbing stranded color work diamonds complement the main clover pattern at the yoke. 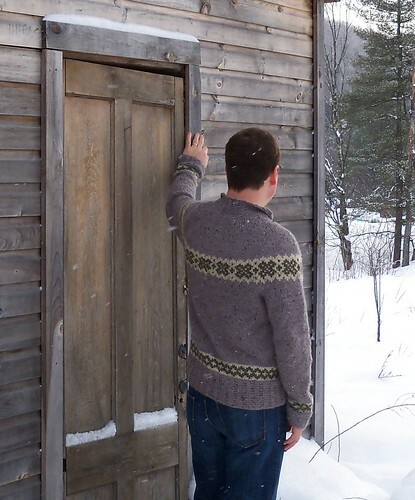 This sweater is designed to be plain enough for men while still being interesting to knit. The fitted yoke and drape of the finished fabric makes White Clovers equally appealing for women. 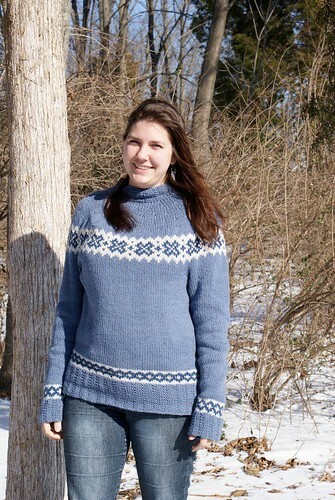 It feels like I was just talking about this sweater (probably because I was) The wonderful people at Knit Picks have the fastest turnaround ever – and so the pattern is now available! You can purchase it over here for just $2.99. You can queue and favorite it on Ravelry as well! Big thanks to my friend Jeremy for patiently letting me take close up photos and to Chris Church for tech editing. City Tweed HW is 25% alpaca so I knew I didn’t want the fabric to be too dense. It’s a really warm sweater with an light and draping fabric. And at 4sts/in it makes really economical use of yarn needing just 1200 to 1800 yards total. My test knitters were also surprised at how little yarn it used. I have another vest pattern in the works. 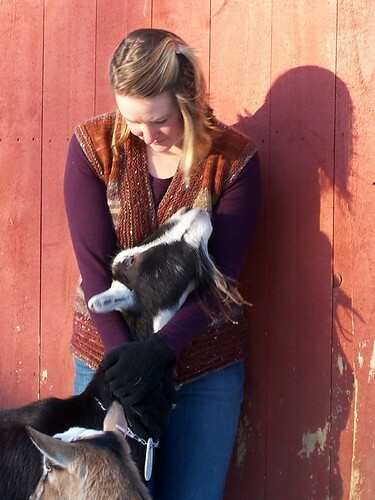 I love vests, they hug your core and keep you warm – but not too warm which can be an issue with sweaters (at least in my office) I find them great for layers, and have been known to wear vests under cardigans when I’m really cold. Vests with long sleeve shirts are my absolute favorite autumn outfit. *I’ve seen some really cute short sleeve sweaters – clearly they’re just not my thing. Which he can’t wear skiing for a while now, because it’s taking a vacation in Washington. 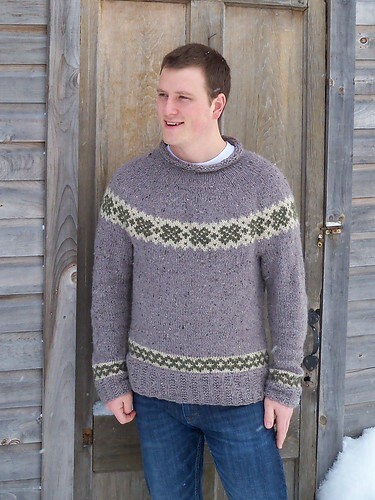 Once the knitpicks folks are done with it I’ll show you the real photo shoot pictures! I have ANOTHER photo shoot planned for this weekend. I truly do not understand how I’ve managed to do three photo shoots for three patterns on three weekends in a row. What’s even more crazy is that I still have one men’s sweater that need it’s photo taken. 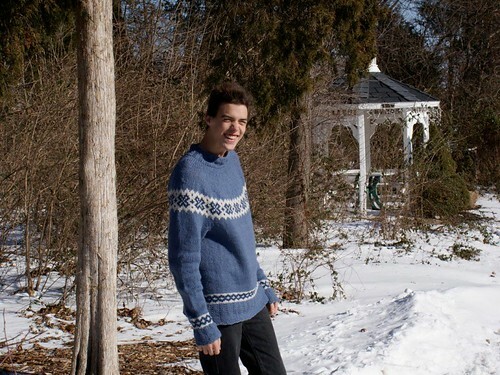 Anyone know a guy in my area willing to model a 40″ sweater? It turns out most of the men I know are a little shy of being called “models” Who knew?! I’m beginning to consider a series of Vermont themed designs. I don’t want to say too much right away, but if you make yarn in Vermont (or elsewhere in new england) and you’d like to be involved, let me know! I’m still in the very early planning stages, but I’d love to put you on my list! 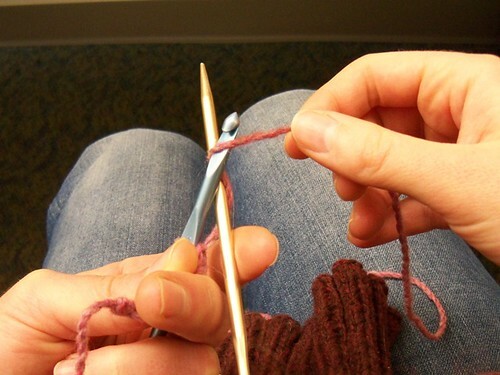 If you don’t make yarn, but you know of someone who does – you could point them out to me. Of course I know the big players and some of the mid-sized ones, I don’t want to miss anyone good just because I don’t know they exist. My whenever-we-get-around-to-arranging-it knit night is tonight, and I’ve been looking forward to it all week! I’m trying to resist taking 4 projects along. Seriously, why do I think I need this much knitting for just a few hours?